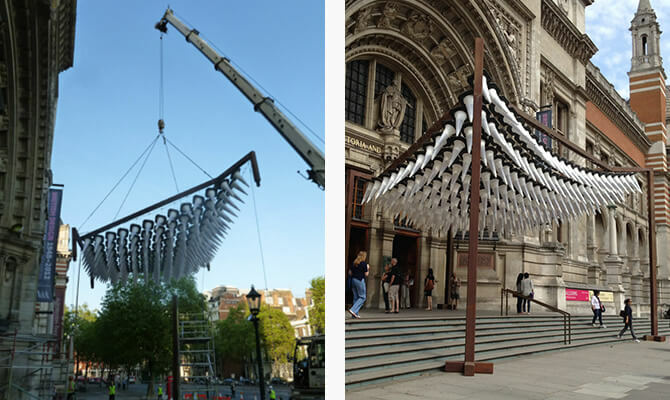 S3i are proud to have worked with the Heatherwick studios in installing a fantastic hanging sculpture on the steps of the entrance to the V&A in London. 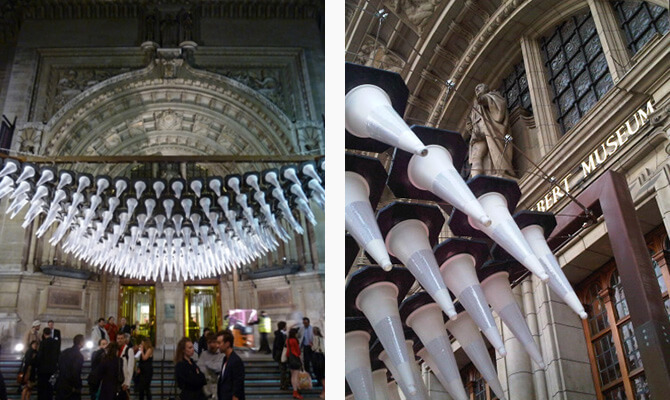 S3i suspended 208 white traffic cones as a canopy to the main entrance. 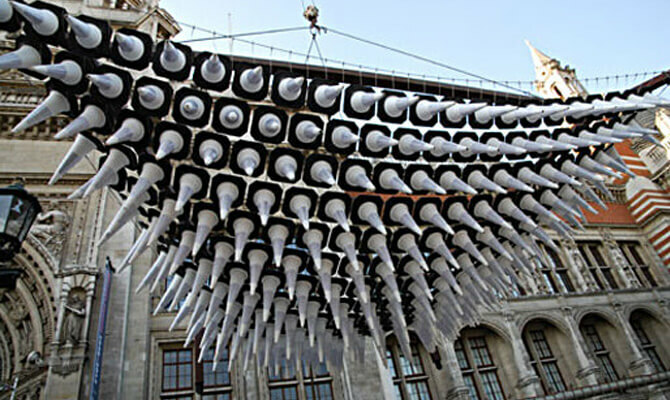 The bollards were suspended using a mixture of 6mm and 12mm stainless steel wire rope. 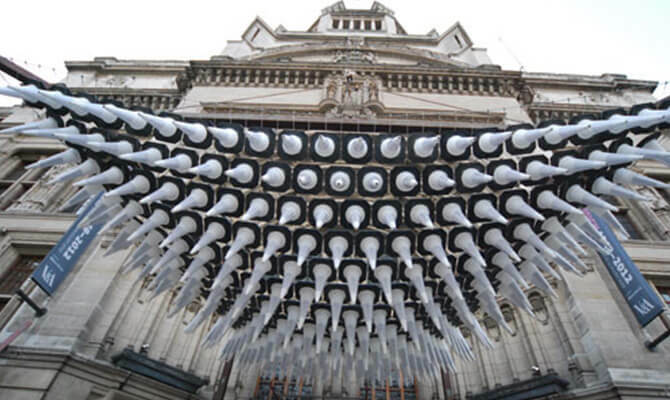 The Victoria and Albert Museum are holding a Heatherwick Studios exhibition and this piece graces the entrance to the V&A - certainly likely to attract attention from the public. All the traffic cones had to be drilled through by S3i to enable their suspension.